Darryn McGarry – Wedding DJ NI offers a professional Wedding entertainment service throughout Northern Ireland. Darryn can provide music and entertainment for your full evening or after a band. You can also add optional extras such as party games including the infamous Mr & Mrs, karaoke, and our lip sync battle where your guests perform for you dressed up as well known pop stars. Additional wedding services also provided include LED Dancefloor hire, Photobooth and Selfie mirror Hire, Light up letters and I have now teamed up with a local wedding venue stylist to offer a complete all in one package including all your entertainment and venue decor including backdrops, chair covers and much much more. 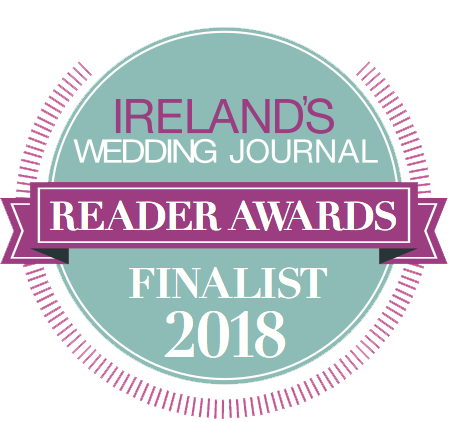 In 2018 I had the pleasure of attending the Wedding Journal Reader Awards as the only DJ in the final for the Wedding Entertainment of the year category. 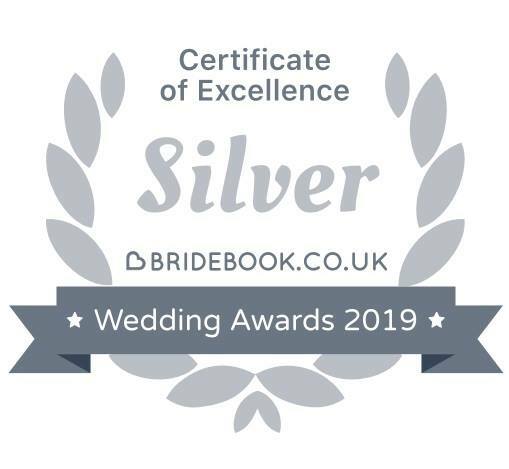 I have also started off 2019 with a silver bide book award and also made it to the final of the Northern Ireland Wedding awards for wedding DJ of the year category where I am amongst the top wedding DJs in the country. Booking myself ensures you receive one of the most professional wedding services available in Northern Ireland. Over the years I have adopted a standard 5 hour wedding disco from 8pm – 1am as the basis of most of my packages. When you book Wedding DJ NI you can also include anything from just great music to dance the night away, to optional entertaining party games, karaoke and wedding quiz. You can even add an elegant white LED dancefloor or fun photobooth. Times can also be adapted to suit with ceremony music starting from the moment you walk down the aisle to the final song of the evening. With an interest in music from a very young age, I have collected music in a range of formats including cassette, vinyl, Cd and now the ever more popular digital MP3 & Wav. This has allowed me over the years to accumulate an impressive music catalogue that is updated weekly to accommodate even the most unique of requests. Each booking also receives access to my online playlist builder giving me an insight into your individual music taste that may otherwise get ignored by your average wedding DJ. I then take your playlist, as well as guest requests and my own selections and build a truly personal soundtrack to your special day. Speciality playlists can also be catered for, past selections have included rock, Indie, Hip Hop, RnB, Old school Dance to name a few as well as all your traditional cheesy classics. All playlists can be discussed beforehand and carefully tailored to ensure all guests will not only enjoy your wedding reception but will remember it forever. What better recommendation to have than previous brides and grooms that have been delighted with my wedding entertainment service. Most of my testimonials are taken directly from my Facebook page where they can be openly viewed. I also take many photos & videos throughout the night (with your permission) that shows family and friends dancing and having fun. Photo & video albums of weddings that have come and gone can be viewed on my Facebook page. 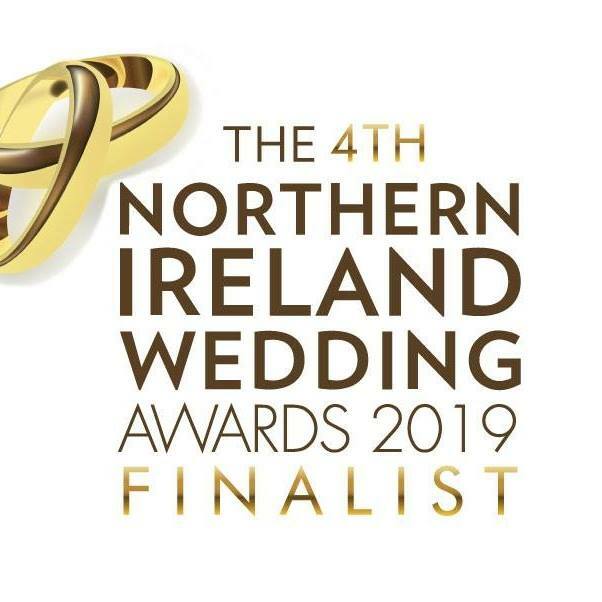 To book Wedding DJ NI please first get in touch to check availability for your wedding date, unfortunately I can only take one wedding per day therefore early booking is recommended. Complete the form below with all the relevant details and I will forward you a quotation. If you would like any of the optional extras such as party games, karaoke, etc or any other special requests please add to the additional info box. Antrim, Bangor, Belfast, Newtownards, Comber, Holywood, Lisburn, Newry, Banbridge, Newcastle, Downpatrick, Newtownabbey, Carrickfergus, Larne, Ballyclare, Derry / Londonderry, Craigavon, Lurgan, Portadown, Armagh, Omagh, Dungannon, Enniskillen, Ballymena, Ballymoney, Strabane, Magherafelt, Limavady, Cookstown, Coleraine, Portstewart, Portrush and everywhere in between. I have provided professional Wedding DJ and entertainment services in and around Belfast including venues such as The Europa Hotel, Malone House, Ten Square Hotel, The Balmoral Hotel, The Culloden Hotel (just outside Belfast) , Malone Lodge Hotel, Beechlawn House Hotel, Park Avenue Hotel, Belfast Castle, The Merchant Hotel, The Stormont Hotel (Dundonald) as well as other exclusive wedding venues such as Titanic Belfast and The Nomadic. I have provided professional Wedding DJ and entertainment services in and around Bangor including venues such as The Marine Court Hotel, The Clandeboye Lodge, The Old Inn Crawfordsburn (Just outside Bangor). As well as other exclusive wedding venues such as Field of Dreams and The Clandeboye Estate.